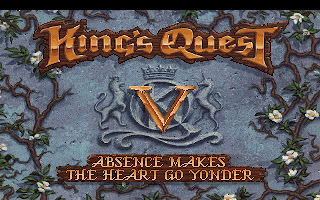 King's Quest V was released in 1990 by Sierra. 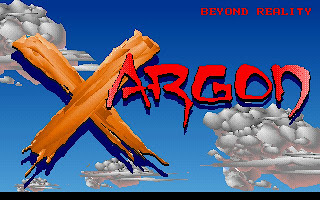 It uses a new game engine that support superb 256-color graphics, sound cards and point-and-click interface. 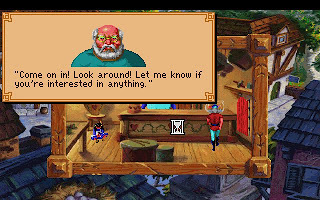 The story start after King Graham take the magic fruit brought by Rosella in King's Quest IV. 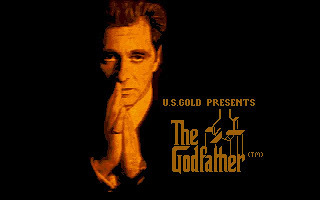 One day, a magician comes and blows away his castle together with his royal family. He returns to the castle to find that it has disappeared, and is soon confronted by a talking owl named Cedric. Cedric tells Graham that it was the wizard Mordack who did this to his castle and family. 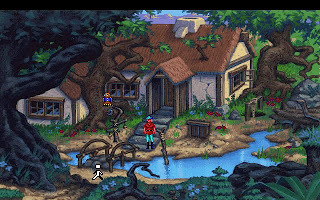 Cedric then brings Graham to the land of Serenia, where his master Crispin resides. Crispin is also a wizard, but a good one, who gives Graham some advice, his old wand, and a piece of white snake which allows Graham to speak with animals. Graham then starts on his journey. We will later learn that Mordack is the brother of the wizard Mannanan, whom Prince Alexander turned into a cat in King's Quest III. Mordack has imprisoned the castle and royal family of Daventry out of revenge, and threatens to feed the royal family to Mannanan unless Prince Alexander agrees to restore him to his true form. 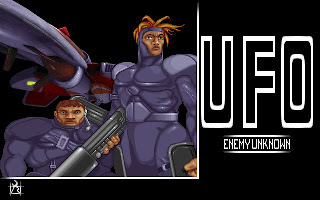 We will travel through the land of Serenia, gathering helpful items and information, and eventually make our way to Mordack's island to save our family from their impending doom. 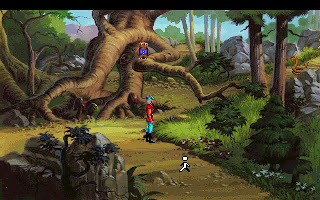 King's Quests V's ending ties perfectly into its sequel, King's Quest VI. Cassima was introduced as a slave to the wizard Mordack. 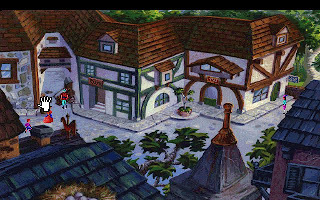 Before she is sent home at the end, Alexander mentions wanting to visit her in the Land of the Green Isles, which happens at the beginning of King's Quest VI. And Cassima mentions her Vizier, who first introduced Mordack to her. 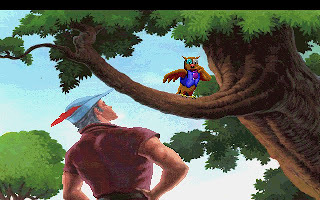 In conclusion, King's Quest V is one of the best in the series, only being bested by King's Quest VI. 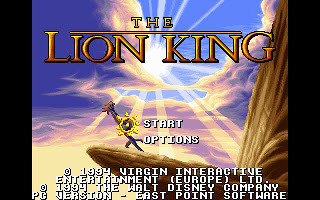 You can download King's Quest V here.